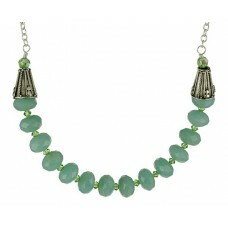 This 16" Amazonite and crystal necklace (with 2.5" extender) features 12mm wheel shaped Amazonite ge.. 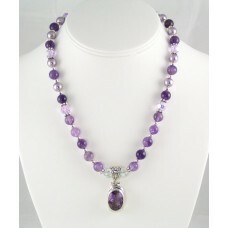 This 18" necklace is an Amethyst lover's delight. 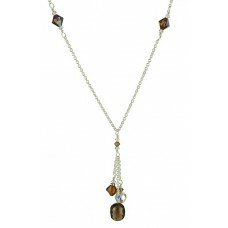 The amethyst pendant is very faceted and the spark.. 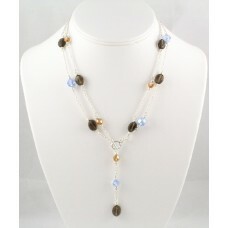 This 18" necklace consists of 6mm Swarovski bicone crystals mixed with accents of 6mm and 8mm round .. 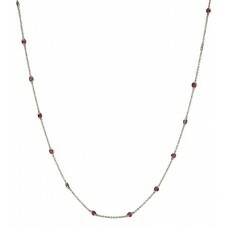 This 18" sterling silver necklace is adorned with clear 3mm Swarovski bicone crystals along the chai..
A Tiffany inspired 24' sterling silver necklace using fuchsia Cubic Zirconias. 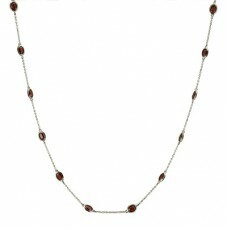 Pretty and affo..
A Tiffany inspired 24' sterling silver necklace using garnet Cubic Zirconias. 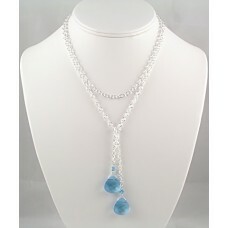 Pretty and affor..
A Tiffany inspired 24"necklace using Cubic Zirconias and paired with an 18" strand of 4mm sterling s.. This 16" wire wrapped necklace sparkles like it's on fire. 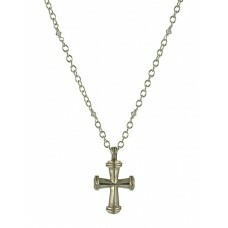 The necklace consists of alternating 6mm .. 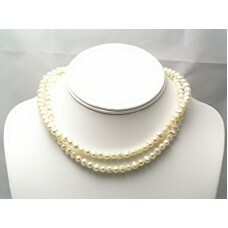 This 16" cream coloured freshwater pearl necklace has a 3" chain extender and is convertible. The po.. 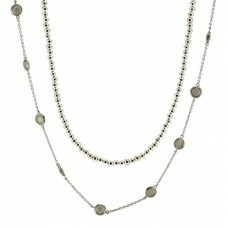 This 16" double-stranded Birks-inspired "Y" necklace has oval shaped smoky quartz gemstones, and rou.. 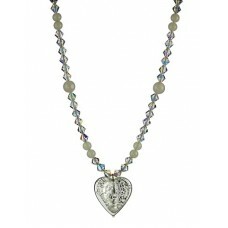 This 16" strung necklace features 6mm and 8mm Swarovski Jet crystals, 6mm Swarovski Crystal AB cryst.. If this doesn't scream "bling bling," then nothing will. 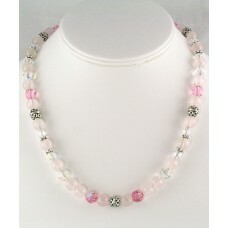 This 18" necklace is laden with Rose Quartz.. 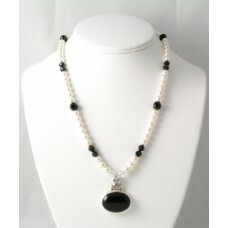 This 16" hip necklace consists of a 12mm x 10mm Smoky Quartz barrel gemstone, 3mm, 4mm and 8mm Swaro.. 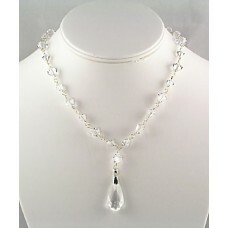 This 45" Swarovski lariat is simple in design, but will add the extra "oomph" that an outfit require.. 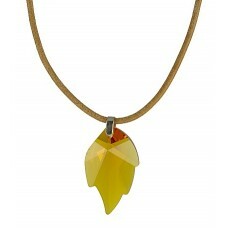 These 32mm Topaz crystal leaf necklace is for the nature gal who loves to incorporate the beauty of ..